Chilean Patagonia boasts some of the most astoundingly beautiful and diverse wilderness areas in the world and vast swathes of this adventurer's paradise remain unspoiled and unpopulated. It is therefore no surprise that the majority of things to see and do in Chilean Patagonia revolve around natural wonders and outdoor activities. The dramatic scenery includes glaciers, lakes, rivers, mountains and volcanoes; enough natural splendour to keep visitors occupied for months. The Parque Nacional Laguna San Rafael and The Parque Nacional Torres Del Paine are both UNESCO Biosphere Reserves and are open to the public. They offer a number of hiking trails, of varying lengths and difficulties, which constitute a popular way to explore these special areas. 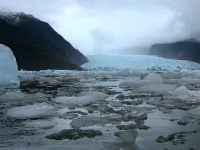 San Rafael includes the Northern Patagonian Ice Field and the mammoth glaciers to be found here are one of the most popular attractions in Chilean Patagonia. Torres Del Paine is a magnificent reserve with towering granite mountains and crystal-clear lakes. Pumalin Park, in northern Patagonia, is also a favourite with travellers for its fjords and rainforest. The Magdalena Island Penguin Reserve is a birdwatcher's dream and worth a visit for anyone keen on these comical birds. Your ferry trip to get there will take you into the Straits of Magellan, which is special in itself. If you are interested in the explorers, like Magellan, who first ventured into this area, it is worth visiting the Nao Victoria Museo, which displays a full-size model of the ship Magellan used, among others, and provides intriguing historical lessons about life on-board. The museum is in Punta Arenas and has received acclaim in recent years. 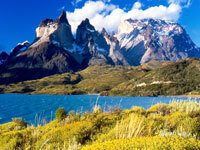 Chilean Patagonia is full of attractions, particularly for the intrepid traveller keen to kayak, hike and climb. The amount of wilderness to explore actually leaves visitors spoiled for choice. Travellers should be aware that outside of the main travel hubs amenities are extremely limited in Chilean Patagonia and getting around can prove tricky. Many visitors travel by plane or ship and others resort to renting vehicles due to the lack of reliable public transport. The further south you want to go, the more difficult it becomes, but it is worth it.